Balboa Island, Fashion Island, Lido Island and the five diamond Island Hotel are but a few of the islands which make up the Southern California glamorous beachfront community of Newport Beach. 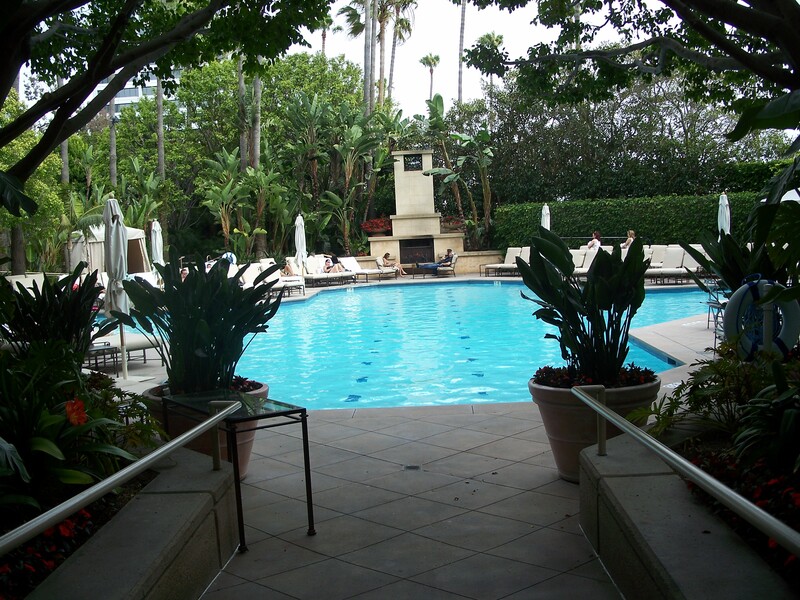 With views of the Pacific all the way to Catalina, the 20 story, 295-room and suite resort-like Island Hotel is situated in the heart of Newport Beach’s business hub and adjacent to the area’s premier shopping and restaurant center. In addition to the impeccable service, elegant décor and deluxe accommodations, the hotels myriad of outstanding amenities include the exotic swimming pool area, the state of the art spa and its signature restaurant, the Palm Terrace. 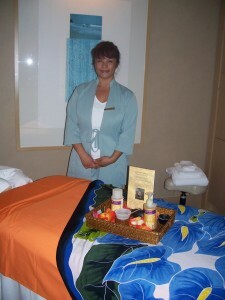 Alicia prepares the rejuvenating Island Boreh Bali Spice Ritual. One of life’s greatest pleasures for many is a fine massage and in the soothing sanctuary of The Spa guests may opt for an array of pampering services from signature Island–themed body rituals to crushed pearl facials. A top choice is their two hour Island Boreh Bali Spice Ritual utilizing a combination of European and Asian techniques which leaves the fortunate recipients of this relaxing and calming body treatment totally rejuvenated. Clove, ginger and other island spices, mild exfoliating and warm, moist soothing cloths create a heavenly experience along with the just right touch of the experienced therapist. Finishing off this indulgence, guests are shown to the resting room where they may relax on over-sized plush chaise lounges, covered with cozy throws while nibbling on giant chocolate covered strawberries and sipping herb tea. Manicures, pedicures and a variety of facials are also offered in a setting of soft music and flickering votive candles. The Palm Terrace dining room reflects the hotel’s sun-splashed tropical oasis-like décor in greens and bronzes enhanced by a palm leaf motif. Under the direction of celebrated Executive Chef Bill Bracken, menus showcase his innovative American-style cuisine including his signature “small bites” menu allowing guests to sample a selection of his dishes in one seating. The ever changing selection from the large plate menu might include Blue Caledonia Prawns, Soft Shell Crab, Prime Beef Short Ribs or Roasted Organic Chicken. Sinful treats, under the direction of Executive Pastry Chef Michael Owens, tempt diners to sample from the small bites menu which includes their most popular desserts in smaller portions or to enjoy full portions of such enticing delights as pineapple shortcake with coconut cream, butterscotch brulee with hot fudge or “The Balboa Sundae.” In addition to outstanding cuisine and exquisite décor, the fine service rounds out the perfect dining experience. The Island Hotel's exotic swimming pool area. The exotic pool and whirlpool area surrounded by lush, fragrant gardens invites guests to a relaxing island-like escape. For more active guests, two tennis courts, ping pong tables and a fitness center are just a few steps away. Golfers enjoy privileges at the nearby newly reopened Pelican Hill Golf Club, a renowned Tom Fazio-designed course, its 36 holes enhanced by astounding ocean views. Another option for guests, for the ultimate alone-time, is to spend an afternoon or evening curled up in the privacy of one’s tastefully decorated room or suite, enjoying the personal state of the art entertainment center and perhaps ordering up a bite to eat from the movie snack menu. 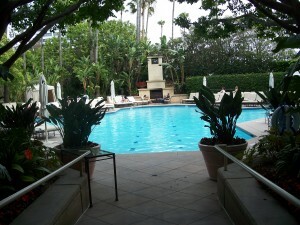 Or one might choose to curl up with a book on the step-out balcony taking in the panoramic views of scenic Newport Beach. Situated minutes from Newport Harbor and the Pacific Ocean guests may opt for any number of nearby water activities including scuba diving, water-skiing, windsurfing, sailing, surfing and electric boat rides. Available land options feature bicycling along the boardwalk or through the many bike trails, hot air ballooning, horseback riding and winery tours. Added attractions highlight special events and activities taking place throughout the year in Newport Beach. The Island is located midway between Los Angeles and San Diego, conveniently close to all major southland attractions and less than 10 minutes from John Wayne Airport. It’s the ideal getaway for fun and relaxation offering something for every lifestyle.